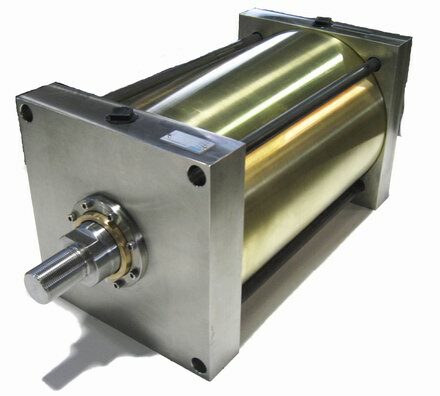 Lehigh Fluid Power manufactures specialty water hydraulic actuators for use in the tire manufacturing industry. 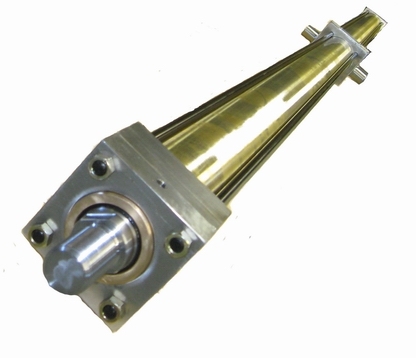 Lehigh has worked extensively with end users to develop new solutions and technology to replace existing cylinders that were plagued with failures due to the harsh environment. In addition, Lehigh has collaborated with distributors and end users to create ordering programs that significantly reduce normal lead times, often to less than 5 working days. Working with water treated to lower the pH in an effort to retard organic growth creates a particularly challenging environment. 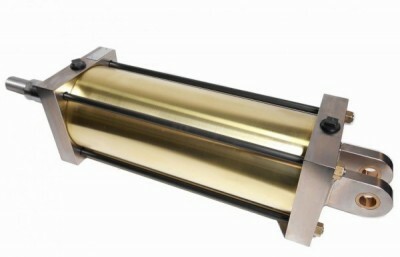 The acidity of the treated water combined with water’s inherently low lubricity makes designing a long-lasting actuator extremely challenging especially when working within rigid maintenance budget constraints. Construction materials must be carefully selected to withstand the corrosive operating fluid and seal compounds must also be selected carefully to combat the low lubricity. Lehigh Fluid Power has been successful in responding to tire manufacturer’s special design requirements. On the segmented mold opening (SMO) cylinders, (42”-45” presses), the tire manufacturer required a piston that would attract the magnet in a proximity switch, but also resisted corrosion. 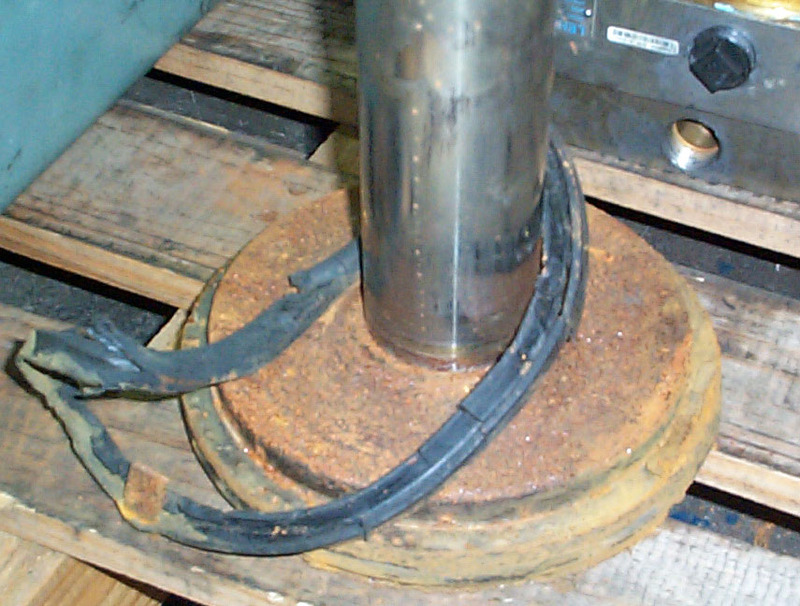 This photo shows an original piston that met the magnet requirement, but did not survive the corrosive environment. Lehigh was able to replace the piston with a material that better resisted corrosion while still attracting the proximity switch magnet. This not only increased the actuator’s time between rebuilds, but resulted in an actuator that could be more inexpensively rebuilt. A tire manufacturer had a problem with the wiffle tree actuator piston rods breaking at the connection with the piston. Lehigh was able to replace the piston rod with a stronger material without sacrificing corrosion resistance. Lehigh also redesigned the piston connection with over-sized threads. These changes eliminated the piston rod breakage, dramatically increasing the useful life of the actuator. A tire manufacturer had a loader actuator that was failing prematurely due to an unavoidably high side loading condition. 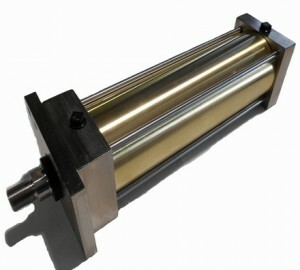 Lehigh redesigned the actuator with an elongated rod bearing and an extra-wide piston. The materials for the rod, tube and piston were also carefully selected to minimize galling and scoring. The design changes resulted in dramatically increased time between rebuilds.